← Google Drive vs Dropbox , which is your choice? It is kind of notorious that Google+ is referred to as a ‘ghost town’. However, this attitude seems to me unduly fussy. 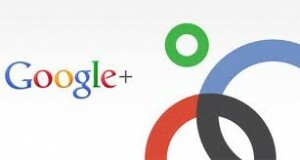 I would say Google+ possesses several virtues as distinguished from other social networking services. 1. More news than gossips. In contradistinction to Twitter, Google+ contains more realistic coverage. On Twitter, focusing on celebrities of their concern, people can skim through every beat from all walks of life, especially the world of entertainment. Moreover, these celebrities are reluctant to let the opportunity slip, through which they can exchange with their fans and increase their visibility. As a consequence, the followers’ tweeting and participating contribute to gossip’s becoming a substitute for news. In spite of that, people on Google+ are with an eye single to specific news. “Circles” enable them to organize people into groups. Users can select and organize contacts in accordance with different circles, thus making it more available to share photos, videos and other information. A user may click on a circle and the page will contain only posts shared by users in that circle. 2. The efficiency of the arrangement of the streams. On Twitter and Facebook, the information streams are arranged chronologically, making it obvious for users to be acquainted with the sequence of the streams. But they are not altogether online simultaneously and it is also a waste of time in finding out the substantial information they really take an interest in. There’s no denying that only the hottest information appeals to the users instead of those chit-chats. This is exactly what Google+ applies into its ideology. 3. No app notifications in the streams. What bothers users while using Facebook is varieties of notifications reminding them of the fact that their friends use the same applications as theirs as well as Facebook applications’ sending a multitude of spam messages to their friends in the name of them. But the problem vanishes as far as Google+ is concerned. The prominent characteristic of Google+ may be hangouts which allow a maximum of 10 people’s participating in a group video chat at any point in time and an automatic switch among windows for the people who is speaking with others put beneath the main screen without complex operation. Also, hangouts bring convenience to us. What really makes us excited is to have a wonderful group video chat with Google+. 5. The function to send dynamic images. Send dynamic images? The advantage of Google+ is omnipresent. I am forced to concede that dynamic images have the power to activate the atmosphere, provide vivid information and adorable effect. Especially when words don’t serve to make you understood, a dynamic image can play a critical role. Certainly, Google+ has more functions that worth of being focused. When you truly use Google+, you will love it. This entry was posted in Google Tips and tagged Google, SNS. Bookmark the permalink.